Merci BEAUCOUP for this beau-ti-ful raffia bow ! I don't have much time as a technician has just brought my computer back (...) and i'm testing some of its functions at the moment before writing a list of what it's still not working properly. generosity that i didn't dare to receive...another present. I just discovered your lovely site. Thank you for sharing your beautiful work. 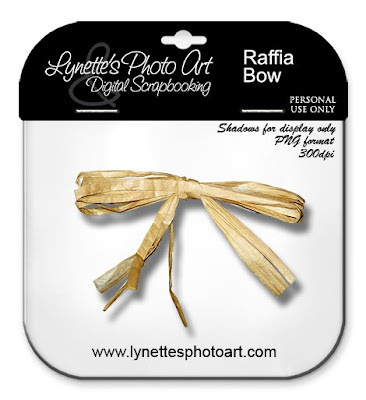 I absolutely love all the elegant bows and the raffia bow is perfect for so many layouts. Bless you and keep you. Thanks. Just discovered your site.